“Good fences make good neighbors” is an often-quoted line from Robert Frost’s poem “Mending Wall” about two farmers united in their effort to rebuild a wall that divides their land. Less well known is the poem’s central query: “Why do good fences make good neighbors?” It’s a question that seems particularly relevant in today’s world, and it’s at the heart of the Kyoto Experiment festival running through Nov. 13. Since its 2010 debut as an annual event, the festival’s organizing committee and volunteer network have worked to develop it as a world-class, cross-cultural platform for dance, theater and contemporary art under the directorship of Yusuke Hashimoto. 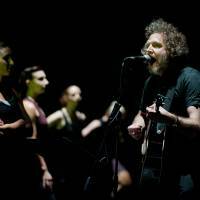 Four of the 12 scheduled projects approach the border theme through text-based theater. Among those is “Baling” by Malaysian playwright-director Mark Teh, which uses news footage and official transcripts to reenact 1955’s Baling Talks between the government and the Malayan Communist Party aimed at ending the country’s 1948-60 guerrilla war — in the process offering compelling insight into the way history is constructed and revised. In addition, Bangkok-based Chiharu Shinoda brings a Japanese perspective to “Zoo.” This satirical play by Chilean artist Manuela Infante about two scientists who exhibit members of a newly discovered indigenous tribe examines how “the other” is framed through scientific discourse, stirring strong echoes of colonial pasts. 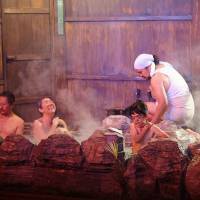 On the homegrown front, the Tokyo-based Niwa Gekidan Penino company returns with a revival of their award-winning play “Avidya: No Lights Inn” set in a hot-spring resort slated for demolition to make way for a new railway line, where a motley range of folk become embroiled in heated hot-tub debates that expose rigid barriers limiting their thinking. 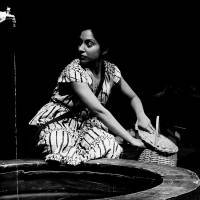 Meanwhile, Sankar Venkateswaran’s Kerala-based Theatre Roots and Wings company presents an Indian version of Shogo Ohta’s “Mizu no Eki” (“The Water Station”), in which the characters move to and from a single water tap. 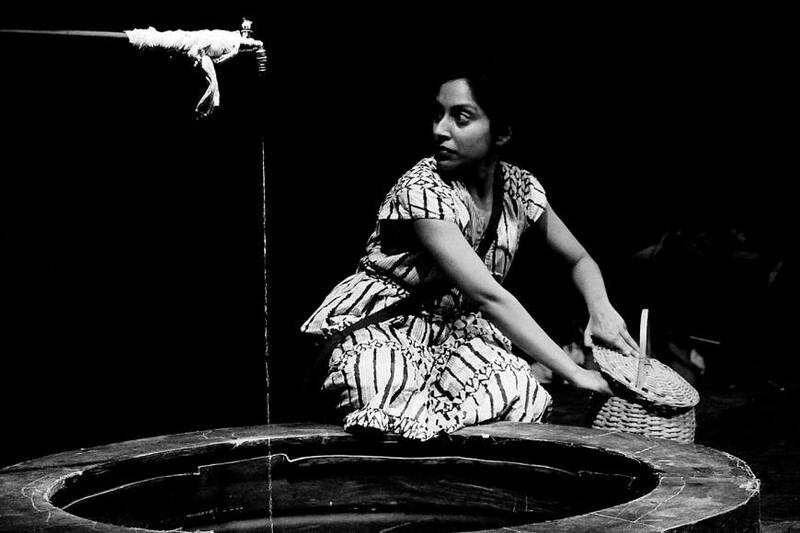 Whereas Ohta’s was a “silent theater” work, Venkateswaran enlists a diverse ethnic and linguistic cast to shed new spoken light on this iconic play. This time, too, Kyoto Experiment includes several dance pieces and mixed-media works. Among them is “El Lugar Imposible” (“The Impossible Place”), which sees Argentinian choreographer Luis Garay return with this exploration of the nature of the body in Japan against the backdrop of social media. In this “performed installation,” devised with local dancers and performers, audiences will be able to intermingle with the cast. In contrast, in “Dance, if you want to enter my country!” Vienna-based Japanese dancer Michikazu Matsune focuses on U.S. dancer Abdur-Rahim Jackson, whose first name led to him being ordered to “step aside” at Tel Aviv’s Ben Gurion Airport in 2008 when he went to Israel to perform. He was eventually told to dance to prove his profession. In this work, Matsune performs a piece on the U.S. Civil Rights movement by the New York-based Alvin Ailey company of which Jackson is a member. Set to be equally arresting in a different way is the Japanese premiere of “Work No. 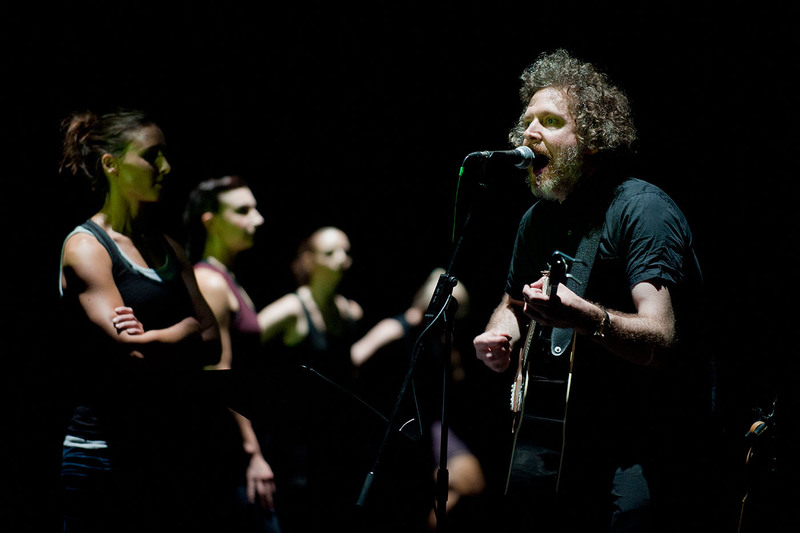 1020 (Ballet)” by Turner Prize winner Martin Creed, which fuses live conversation, song and video with the fundamental five steps of ballet in a piece that challenges audiences to rethink the conventions and history of dance. Also featuring words and images is “Las Ideas” (“The Ideas”), in which Argentinian artist Federico Leon and his collaborator, Julian Tello, create a new piece in real time by watching videos on their laptop and brainstorming ideas. What emerges is a comical expose of the journey of an idea from mind to material performance. Certainly, with land disputes extending from the Amazon to Southeast Asia to the Middle East and beyond; mass migrations of desperate, dispossessed people; the reshaping of boundaries and rise of nationalism in Europe — and the sinister prospect of new fences to make certain neighbors “great again” — Kyoto Experiment is a great opportunity to challenge normative thinking and, above all, to cross borders both real and figurative as good neighbors one and all. Kyoto Experiment started Oct. 22 and runs through Nov. 13. For more details, visit kyoto-ex.jp/2016-autumn-eng.